Earlier in the school year I was contacted by Kathy’s Place Youth Center who asked me if I would be interested in teaching a group of middle schoolers the ways of cake decorating. Of course I said yes. The class consisted of a small group of 6th and 7th graders from Winthrop’s Memorial middle school who were part of the 21st Century after school program. For the first 2 months we met once a week learning the basics of baking and frosting. 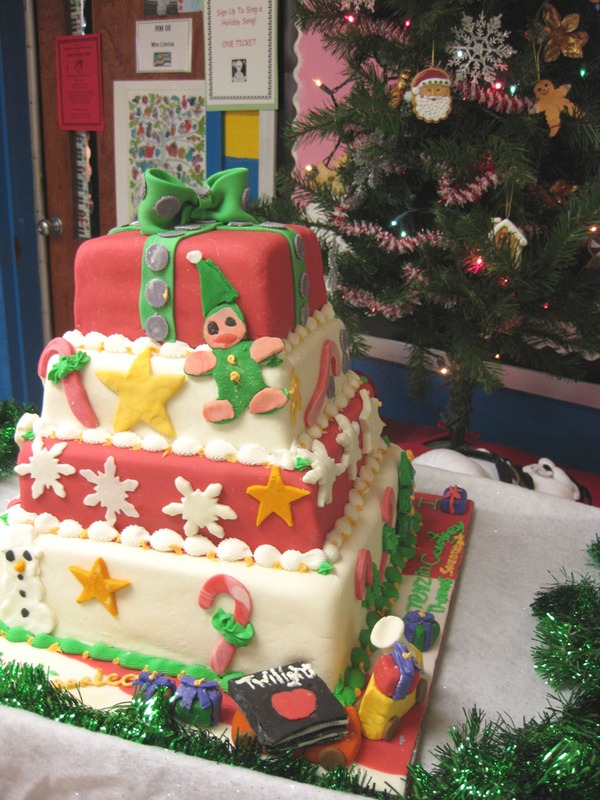 The finale cake was made to be displayed at the Hoiday Fair on Dec 10th and then enjoyed by the teachers at their meeting later in the day. Earlier in the semester the kids sketched out their holiday cake design ideas and then two separate groups presented their designs to the principal and vice principal (as if they were the clients), who would choose the final cake to be made. 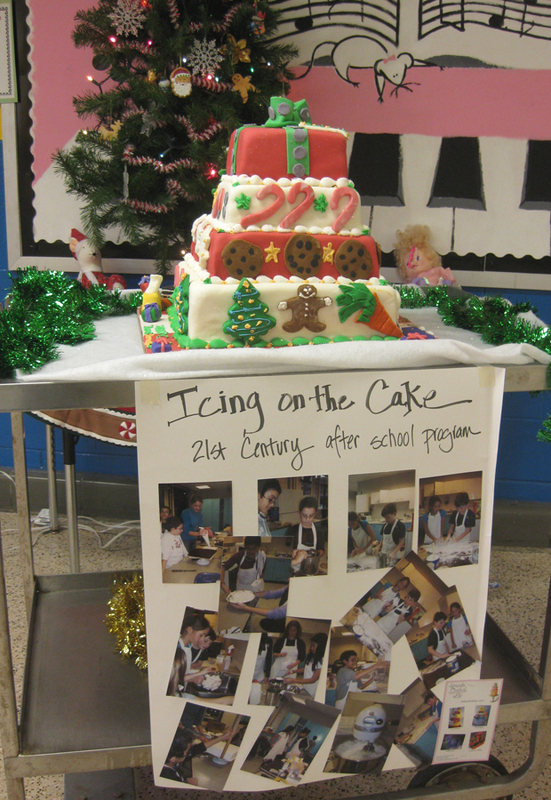 The final week of the course the group of 7 kids baked, frosted, and decorated this cake totally from scratch. I assisted and directed the kids but the design is totally their creation. The kids were all very proud of their cake and were surprised they could create something ‘so cool’. Here is a photo of the back of the cake. Noticed how they managed to include the latest vampire craze into the cake. : ) The made a Twilight book to go on the toy train. They also all signed their names at the bottom of the cake. Awesome job guys, I look forward to the next class!